The Pininfarina Battista electric hypercar is scheduled to debut at the 2019 Geneva Motor Show. Automobili Pininfarina has announced that the Battista all electric hypercar will see its official global reveal at an exclusive event on March 4, 2019, in Geneva. Following the reveal, the Battista will make its first public appearance the next day at the Geneva Motor Show. Additionally, Automobili Pininfarina has also announced details of the first phase of retail specialists who have been appointed as a part of their global network. The partners will be defined and managed by the company’s new Munich based sales division when the Battista goes on sale in 2020. Currently, Automobili Pininfarina has confirmed that the first phase will consist of 16 partners. The European phase will see retailers in Brussels, Stuttgart, Birmingham, Monaco, Dusseldorf, and London. The Middle East will see retailers in the United Arab Emirates, and Riyadh. Asian partners are currently in Hong Kong and Singapore while North American partners confirmed are stationed in Greenwich, Vancouver, Los Angeles, San Francisco, and Miami. The company is also looking to expand its network to major cities like Stockholm, Oslo, Amsterdam, Paris, Geneva, Milan, Zürich, Vienna, Taipei, Seoul, Tokyo, and Melbourne. For the mainland China region, Pininfarina has not yet disclosed a partner, however, the company states that a separate announcement for the region will be made soon. Until then, customers from the region can contact the company directly and will be able to choose any retailer of their preference. The Automobili Pininfarina is currently working on establishing up to 25 to 40 dealers around the globe to expand their network even further. The Battista is an all-electric hypercar which features a complete carbon fibre construction. The two electric motors which will propel the hypercar are claimed to be able to produce a combined maximum output of 1,900 horsepower and 2,300Nm of torque. 0-100km/h is expected to take less than two seconds and 0-300 km/h should be achievable in less than 12 seconds. The batteries are said to be able to deliver a range of 450 kilometres. 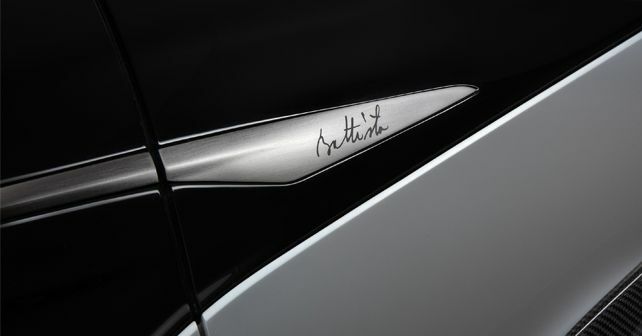 The Battista will be made in limited numbers of just 150 examples. 50 of which have been allotted for North America, 50 units for Europe, and 50 for the entire Middle East and Asian markets when deliveries begin in 2020.